Welcome to Finland’s anniversary year of 2017! Next year will mark the hundredth year of Finland’s independence. At the same time, the European Chemicals Agency – ECHA – will turn 10 years old. The anniversary of the ECHA and the EU’s chemicals regulation, REACH, will be celebrated on 7 June 2017. 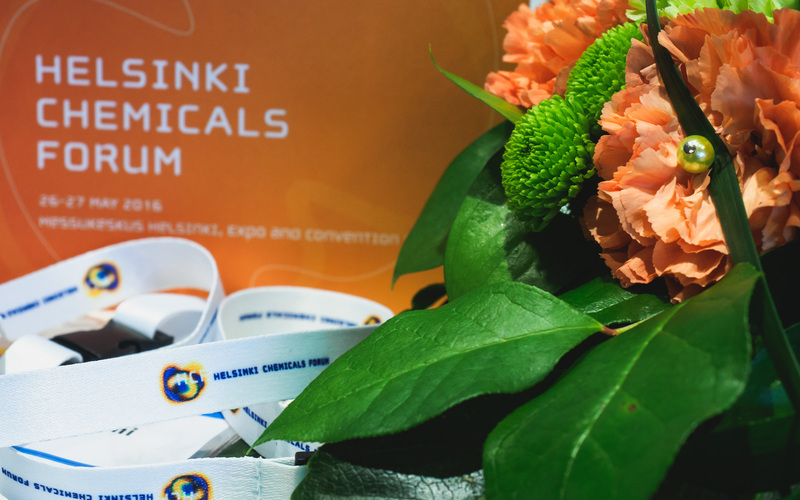 The ninth Helsinki Chemicals Forum will be held straight afterwards, on 8–9 June. This is actually the tenth such occasion; we organised our first event, the HICCS – Helsinki International Congress on Chemicals Safety, in 2008. The Helsinki Chemicals Forum is an independent conference organiser with charitable status. Its mission is to promote international chemicals safety and management. The forum’s activities are steered by an Advisory Board, whose members include representatives of the EU Commission, the ECHA, the OECD, UNEP, the Ministry of the Environment and the Ministry for Foreign Affairs of Finland, the City of Helsinki and the Finnish Fair Corporation. Industry is represented by CEFIC (the European Chemical Industry Council) and its Finnish equivalent, Kemianteollisuus ry. A broad-based, expert Programme Committee draws up and considers the programme for the forum. In addition to the above-mentioned, international organisations, bodies such as the following are represented on the Programme Committee: the Canadian Ministry of the Environment and Climate Change, the Australian chemicals agency, the German chemicals umbrella organisation (the VCI), the US chemicals industry organisation (the ACC), and media representative Chemical Watch. Civic organisations are represented by CIEL from Geneva. The programme framework and panel themes for the anniversary year of 2017 are now ready. The forum will last two days and feature five panels, supplemented by keynote presentations. The theme chosen for deliberation by the first panel is international chemical safety legislation under the title “What has chemicals legislation done for us over the last decade?” The most familiar legislation has now been in effect for a decade. The panel will weigh up the European REACH regulation and the equivalent law in Canada, as well as how the situation would look if there were no chemicals legislation. Erwin Annys, Director of CEFIC in Brussels, will act as the moderator. The second panel will focus on the challenges, business opportunities and threats involved in sustainable development. We have given this theme the challenging title of “Sustainable Development Goals – Is there a business case?” The so-called Brundtland report will turn 30 next year – new objectives have appeared as the years have rolled by. This panel will be asked about the challenge chemical safety poses to various business sectors and the risks involved if the issue is ignored. We will hear company case stories and the perspective of developing countries. The moderator will be Achim Halpaap from Geneva, who is the Head of the Chemicals and Waste Branch of UNEP. The third panel will ponder the future of the international chemical industry and chemicals supply chain – where are we headed? We know that the industry’s centre of gravity has shifted from Europe to the far east in the last decade. Chemical production is still entering new countries and the related trade is globalising. This panel has a challenging title: “Post-2020 Global Chemicals Supply Chains – What will be the drivers for market supply and demand and will chemicals product safety emerge a winner or loser?” The panel will discuss macroeconomic trends, the needs of the entire supply chain, as well as the products of the future. Will we succeed in guaranteeing safer chemicals for new products, or will chemical safety take second place? The panel will be moderated by Björn Hansen, Head of Unit at the European Commission, who is the ‘father’ of REACH. 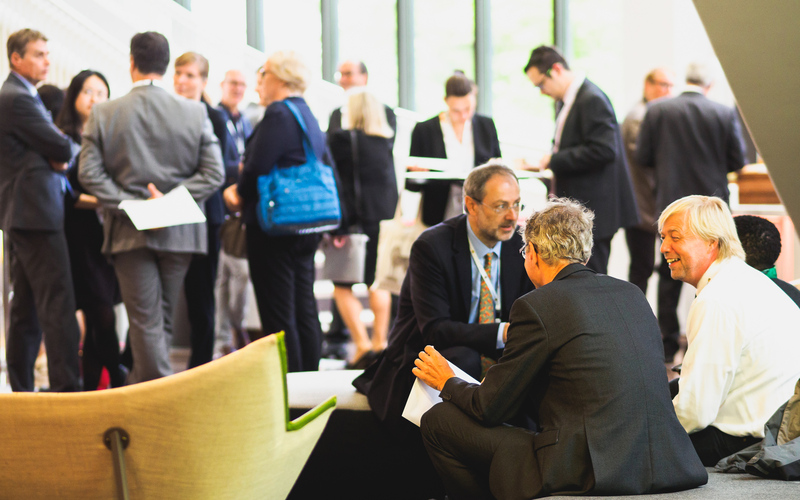 Helsinki Chemicals Forum is a key networking event for chemicals safety professionals held yearly in Helsinki, Finland. The fourth panel will focus on one of the most critical areas of international chemical safety: accelerating the testing and assessment of chemicals. The problem is that investigating the risks posed by chemicals is difficult, time-consuming and expensive. In addition, it is often highly frustrating because reliable results cannot be obtained within a reasonable time. The title is: Speeding up chemical assessments: from novel information to new management approaches, what works? On this panel, the experiences of various countries and new approaches to the theme, such as computational approaches, will be discussed. Mamta Patel, the founder and Director of Chemical Watch, will act as the moderator. The fifth panel will focus on so-called SVHC compounds, which are a cause of particular concern and risk. Given our awareness of how free global trade is, the question is ‘Who has the task of supervising sales of chemicals and products in a global economy based on free trade?’ Is it sufficient that various regions, such as the EU, enact strict legislation which begins at their frontiers? What about countries and regions which have only just begun to consider legislative means? There is a general feeling of frustration in areas, such as the industrial sector, that even dangerous and risky products are still on the markets. 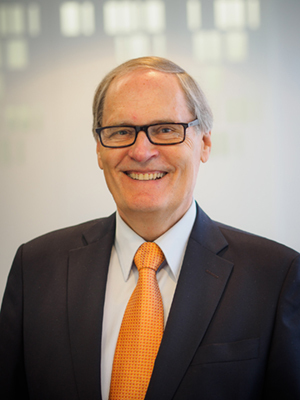 This panel has the following challenging title: “Substances of concern (SVHCs) in products – whose job is it to control these in a free trade world?” Jack de Bruijn, Director of Risk Management at ECHA, will moderate this panel. See our website www.helsinkicf.eu for our programme and plenty of material on our previous forums. Keynotes will be published soon. The Helsinki Chemicals Forum will once again bring the cream of international chemical safety to Helsinki. All forum discussions and the resulting conclusions will be assembled into a separate conference report, which will be handed to decision-makers. Let’s head towards Finland’s anniversary year together!